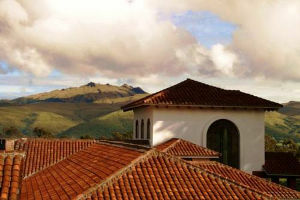 The Andes mountains of Ecuador are home to many finely preserved colonial-style haciendas. Dating from a bygone era, many have been beautifully restored and now provide luxury accommodation in spectacular settings, and offering a range of activities and excursions that explore their surroundings. Click on the options below to explore the haciendas of Ecuador. These pages are under construction and will be finished very soon. Please come back again! Explore the majestic Andes from this working hacienda just two hours from Quito. Hiking, horseback riding, mountain biking, bird-watching and plenty of local culture . 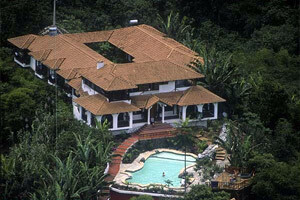 . .
Hacienda Chorlavi is situated in Imbabura Province about 3 hours north of Quito and close to the town of Ibarra. With 52 rooms and a pool, jacuzzi and spa salon the hacienda offers comfort and luxury in the Andes Mountains of Ecuador. 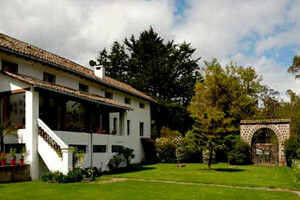 The Hacienda Santa Ana is located about an hour south of Quito near the market town of Machachi. It was originally a Jesuit community in the 1600's and has been faithfully restored to reflect its historic past. It is located between three majestic mountains - Pasachoa, Ruminahui and Sincholagua. 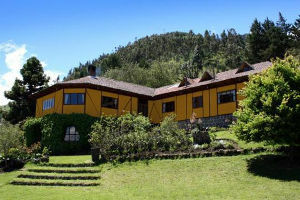 The Hacienda Abraspungo is located close to the colonial town of Riobamba in the south of Ecuador, about 5 hours by bus from Quito and 3 hours by bus from Cuenca. 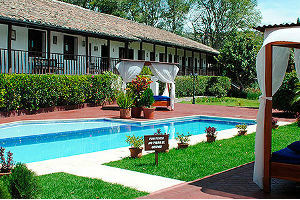 It has 38 beautifully furnished rooms and there is a magnificent garden that guests can enjoy. 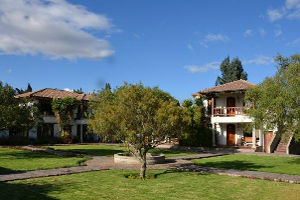 Hacienda Manteles opened to the public in 1992 to offer first class accommodation and activities in a majestic setting in the Andes Mountains. Its surroundings have been nominated as an important bird and biodiversity area, making it ideal for bird-watchers. This working hacienda in the Choco rainforest reserve offers activities such as horseback riding, jungle hikes, white-water rafting, an Autoferro train ride, a pool . . .